- It is designed to withstand toughest work conditions of hard black soils. - The profile cut tynes get their strength because of a peculiar design in which the stress prone points are shaped to resist any distorting strains. - Main frame is made out of heavy angles duly reinforced with projection flats. We are an acclaimed name engaged in providing our precious clients a superior quality range of Angle Type Rigid Tiller. Under guidance of our skilled professionals, we are engaged in offering a wide range of Plate Cutting Type Rigid Tiller. Owing to their remarkable quality, the offered tiller is widely demanded in the market. cropking clamp type tine rigid tiller operates as a light chisel plough for homogenizing and mixing of soil with heavy duty shanks. The v- grove on the shanks facilitates to hold the clamps and shanks in more compact way on a very strong main frame. 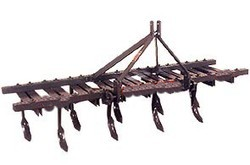 Heavy Duty Rigid Cultivator is designed to withstand toughest work conditions of hard black soils. The profile cut tynes get their strength because of a peculiar design in which the stress prone points are shaped to resist any distorting strains. We are counted amongst reckoned names in the industry, committed towards manufacturing and supplying a wide gamut of Heavy Duty Rigid Cultivator. We are manufacturing all type of agricultre cultivator with type of semi automatic & fully automatic as per customer requirements. 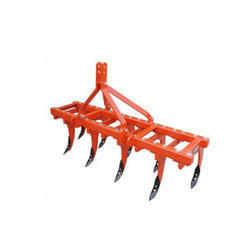 Being a leading enterprise of this industry, we are offering a huge range of Rigid Cultivator.